High-definition Blu-ray and Yosemite are made for each other! The all-new Discovering Yosemite Blu-ray Combo Pack lets you experience Yosemite like never before - it's the next best thing to being there! This production captures a visit to Yosemite, exploring the park's incredible scenery, the four seasons, wildlife, geology and Where to Stay and Play. 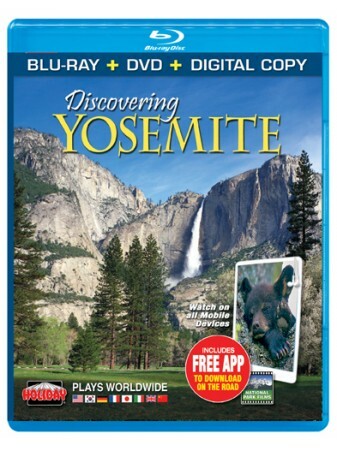 BONUS FEATURES - Over a dozen Blu-ray extras explore Yosemite's unique adventures, activities and history, including historic lodges, seasonal events, rock climbing and stunning time-lapse cinematography.